This issue is all about predicting the future. In the sections that follow, we'll take a look at the state of digital SLR technology as it is today, and I'll talk about some of the most recent new innovations. Once we have a firm understanding of the available technology, we can start to make some educated guesses about where things are going. Some of the new potential features will clearly help photographers in many ways — others could just be gimmicks designed to inflate the camera prices. The good news is that there IS still room for innovation in the world of digital SLR cameras and some cameras that are just being released hint at the potential of this future technology. If you want higher quality pictures, you need a larger sensor — it's as simple as that. The tiny imaging sensors packed into cell phones just don't have the surface area required to capture stunning images. Yes, you can capture some unique images, but when you talk purely about "quality" then the larger sensors win out. This is especially true in low-light conditions, when you have to increase ISO to prevent motion blur. As the ISO value increase, image quality decreases - rather than looking sharp and crisp your photos look mottled and spotty. This is called "image noise". The smaller the sensor, the greater the image noise at high ISO values. For example, using a tiny sensor in a compact camera, you'll start to see visible image noise right around ISO 400. By contrast, you can push a digital SLR all the way up to ISO 6400 before image noise becomes apparent (and then you have to know where to look). In the past, larger sensors have always required larger camera bodies — if you wanted to have a compact carry-everywhere camera, then you had to sacrifice a great deal of image quality. This is no longer the case: now manufacturers can cram large sensors into any size camera body, which is great news for people who want a portable camera that can still capture exceptional photos. Take any one of the Sony NEX or Samsung mirrorless cameras: all of them include the same size sensor available in a digital SLR. Sony also recently announced a COMPACT digital camera with a fixed lens that also happens to have a full-frame sensor inside: the DSC-RX1. While absurdly expensive for a compact camera (almost $2,800 USD), at least this shows the direction this technology is going in. Hopefully over the next several years, manufacturers will include larger-scale sensors into smaller-size cameras. It will by photographic bliss when you get phenomenal image quality in a camera that can be carried along at all times. The constant connectivity of the cell phone is paving the way for some new developments in digital SLRs. In addition to always having your cell phone with you to take pictures at a moment's notice, you also have the ability to instantly share images directly with friends or online. Since camera manufacturers don't want to be left behind, the latest models - like the Canon EOS 6D - include the ability to connect to a wireless network. The first one makes sense: now you don't have to take the extra step of moving files to your computer before you're able to share them with friends and family. Imagine taking pictures at home of a birthday celebration and having every image you take instantly uploaded to an online gallery so that relatives who can't attend can see the events taking place. The second use of WiFi requires a bit more work to set up, but could prove quite useful depending on how you intend to use your camera. Essentially, you have to download an app for your iPhone or Android device from the manufacturer of your camera. Once installed, the app will let you take pictures remotely, kind of like a REALLY sophisticated remote trigger. 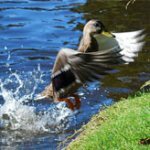 This can be useful if you want to take pictures of skittish subjects (wildlife) and can't stand next to your camera to do it. The introduction of WiFi is certainly useful, but let's take it a step further. Imagine for a moment having the ability to expand your camera's capabilities by downloading applications - just like you do for a cell phone or tablet. Maybe the camera that you purchase is pretty basic since you're a beginner. 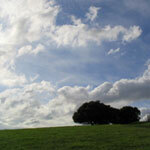 As your skills develop, you can download applications that add more functionality to your camera. Rather than having to learn all the new functionality at once, you can just tackle one individual application at a time. And no, this isn't just some wild fantasy — Sony recently released TWO cameras with this capability: the NEX-5R and the NEX-6. Now that the new Canon EOS 6D has WiFi, it may not be long before you can access "enhanced" applications for any DSLR. At the beginning of this newsletter, I talked about how larger sensors produce higher-quality images. 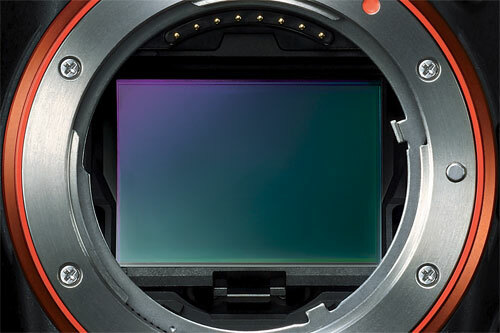 The largest sensor currently available in "consumer" cameras is full frame: the same size as a frame of 35mm film, the sensor measures 36 x 24mm. In the past, photographers have had to pay a substantial premium to use full frame cameras — most full-frame SLRs cost $3,000 USD or more for the camera body only. Recently both Canon and Nikon announced cameras that (hopefully) are part of a trend to make these cameras more affordable. The Canon EOS 6D has a listed retail price of $2,100 USD without a lens, while the Nikon D600 can be yours for $2,097 USD. While this is still far from "affordable" for the non-professional photographer, both are the least expensive full frame cameras yet released. This is promising. Part of the problem here is that in addition to that full frame sensor you also get a lot of other features designed with the advanced and semi-pro photographer in mind. It's my hope that the full-frame sensor becomes so common that the manufacturers are able to fit it into more "consumer" models. Yes, these cameras will have less features, but they'll have the same exceptional image quality that only full frame can deliver. The main drawback to this grand idea is that many manufacturers have optimized their lenses for crop-frame sensors. For example, any Canon lens with the label EF-S (vs. EF only) is designed to fit the cameras with smaller sensors. If you try to use an EF-S lens on a full frame sensor, you see dark shadows around the edges of your photos since the lens is obscuring part of the sensor. Anyone with a large collection of EF-S lenses probably won't be keen on replacing them even if a full frame camera comes out that is more within the budget of the average consumer. However, any move the manufacturers can make toward superior image quality at lower prices seems like a good idea to me. Last but not least, let's talk about some of the cameras that have been recently announced that will become available for purchase in the 4th quarter of 2012. First there is the Canon 6D, which I've already mentioned. In addition to its full frame 20 megapixel sensor, the 6D has an 11-point autofocus and can capture images at a rate of 4.5 per second. The 6D is just as capable at capturing video as it is with stills: the benefit of that huge sensor is that it reduces depth of field, allowing you to isolate subjects against very blurry backgrounds. It also has an exceptional ISO range - from 50 all the way up to 102400 - allowing you to shoot photos and video in near-dark conditions. The 6D is available in December for $2,900 USD with a lens. Since the balance of the photographic world must be maintained, there is - of course - a Nikon equivalent to the 6D called the D600 (even the numbers aren't that far apart). 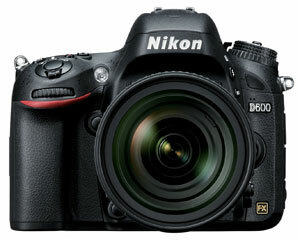 The Nikon D600 is also a full-frame camera (with 24 megapixels) but it ups its autofocus to a substantial 39 points. 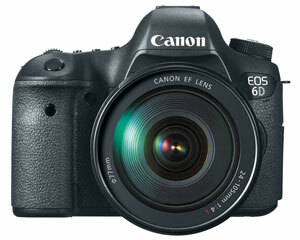 It also has the capacity to capture Full HD video and it has a built-in flash which is not included on the Canon 6D. 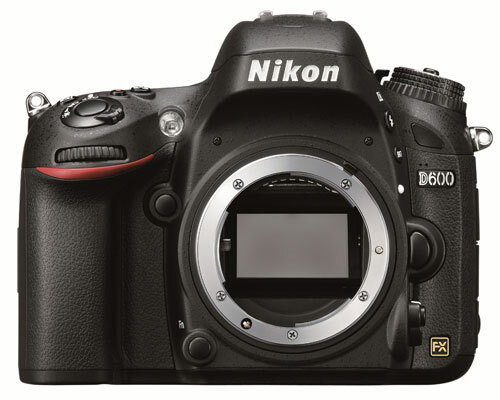 You can get a Nikon D600 in September with a lens for about $2,700 USD. By far the most expensive full-frame camera of the bunch, the Sony A99 packs in a slew of features for all sorts of photographic needs. 19-point autofocus, 6 photos per second and a flexible 3 inch LCD are the main features of this camera. 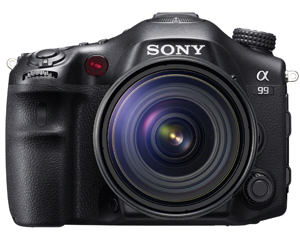 One thing that makes the A99 stand out is that instead of a single autofocus mechanism, it has two. While most DSLRs have a single phase detection autofocus, the A99 has this plus a contrast detection autofocus, typically found in mirrorless and compact digital cameras. In order to get this dual autofocus to work, Sony leveraged their translucent mirror technology. The main impact of this is that the viewfinder on the A99 is electronic instead of optical. The A99 will be out in October with a list price of $2,800 for the body only. And last but not least, there's the Pentax K5 II. If you have a strong desire to tote your camera around and photograph in extreme climates, then the K5 II might be just the camera you need. This SLR is sealed against the elements, so you can use it in sand, showers and snow without having to worry about damaging the delicate electronics inside. The K-5 II also features a completely redesigned autofocus system that is able to quickly lock onto subjects even in very dim available light. 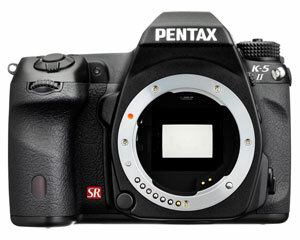 The K-5 II comes out in October for $1,350 USD with lens. To those of you who wondered what happened with last month's issue of the newsletter — I apologize. In the run-up to the Photokina trade show, so many new cameras were announced that it was all I could do to get them up on the site as quickly as possible. 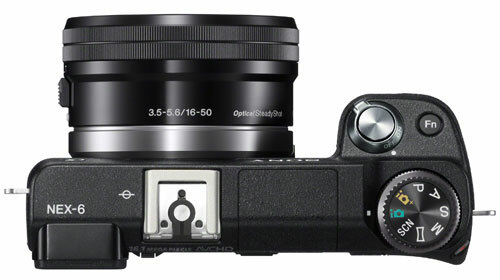 In addition to the new digital SLRs that I have listed above, there are also a slew of new mirrorless cameras from Olympus, Panasonic, Samsung and Sony. I'm still adding those to the site but hope to be done in early October so I can get some more cameras in my hands. The more cameras that I review, the better I feel about answering questions when readers ask. It also forces me to get out and take pictures, something that I don't get to do as much of when life gets really busy. With any luck, I'll have at least 2 or 3 more camera reviews posted before the holidays are upon us. I also don't plan to miss any future issues of the newsletter, so you can expect another in your inbox very soon. Until then, happy picture-taking!